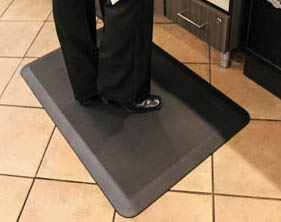 Anti Fatigue Mats are designed to reduce fatigue that is caused by standing for long periods on hard surfaces. Our well designed mats can help reduce stress placed on the feet, knees and back. 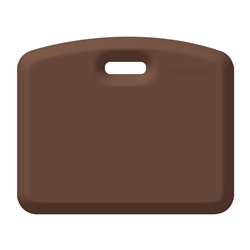 Anti-Fatigue Mats are ergonomically design and medically proven to promote and increase proper circulation. Our unique anti-fatigue floor mats encourage better posture, muscle conditioning and improved overall health and well being by displacing and suspending your body weight on the mat. Works well in conjunction with standing height/height adjustable workstations, sit-stand seating and stools.